Unless you’ve been hiding under a rock, you’ll be aware that Disney’s blockbuster film Frozen is rapidly taking over children’s hearts and minds. Frozen toys are at the top of most 2 year olds’ Christmas lists this year. A lot of Frozen toys are aimed at older children, so it’s not easy to find the right toys for 2 year olds. And let’s be honest – a lot of them are also hideous and tacky, so it’s nice to find something slightly more tasteful that still meets your 2 year old’s desire for all-things-Frozen. 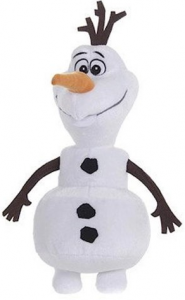 In this article, I have rounded up the best Frozen toys for 2 year olds and older. 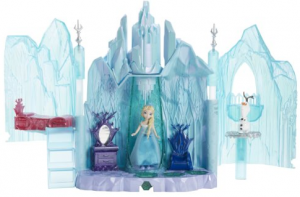 The Frozen Magical Lights Palace Playset is the perfect way for 2 year old girls and older children alike to re-create Else’s adventures in her mountaintop palace. This toy includes a small Elsa doll and Olaf snowman doll as well as the palace. There are various accessories including dresser and bed, so your 2 year old can make Elsa do different activities. She can travel up and down in the lift and stand behind the spinning ice curtain. An easy-to-push button creates a colourful lightshow which 2 year olds will love. You can also extend the set to recreate Elsa’s castle. Making a standard ride-on car and adding Frozen graphics is a bit gimmicky. However children who love Frozen won’t notice and the My First Elsa Activity Ride On could be a great gift! This Frozen ride on car toy has colourful lights which flash inside the ice mountains to show Elsa’s ice palace. It also plays music, with popular songs from Frozen and different fun sounds. 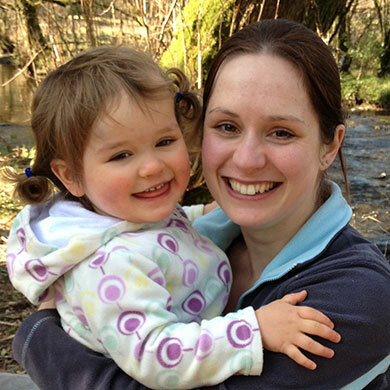 It is safe and well made and suitable for children aged 12 months and over. 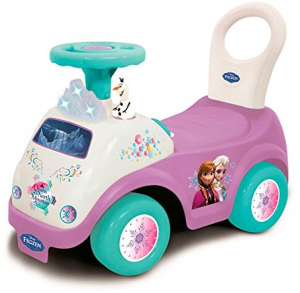 The ride on Frozen car comes complete with batteries so your child can use it straight away. If you want to buy your 2 year old an educational arts and crafts toy but they only want Frozen toys, then the Disney Frozen Colouring Table is a nice compromise. 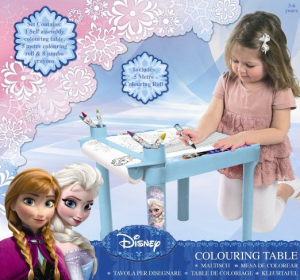 The Frozen colouring table is ideal for lots of different arts and craft activities. It comes with art materials, 6 jumbo crayons, 6 jumbo pens suitable for little finders, and 10m of colouring sheets – your 2 year old just has to pull the roll, tear off a sheet and then colour the next page! Although it says 3 years on the box, Amazon says that the manufacturers’ recommended age for this toy is 2 yeards old.It measures 39 x 39 x 36cm, just right for 2 year olds and slightly older children. 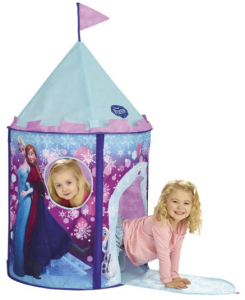 If you’re looking for a more unusual Frozen toy then the Disney Frozen GetGo Pop-Up Tent might be what you’re looking for. 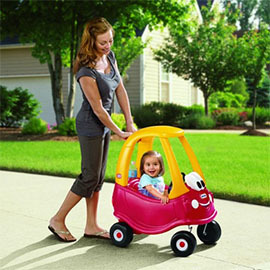 Suitable for 2 year olds and over, your child can pretend they are in a magical land as soon as they step inside. It’s pink and girly, and has Frozen designs and characters printed on it – it even has a flag on the top! The tent is quick and easy to put up, and folds away neatly when you’re not using it, making it more flexible than a solid play house or wendy house. 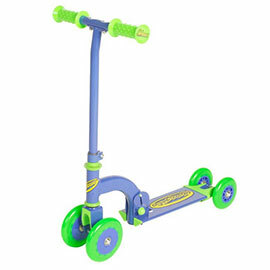 It can be used indoors or outside and is fully safety tested. The tent measures 118 x 75 x 75 cm. 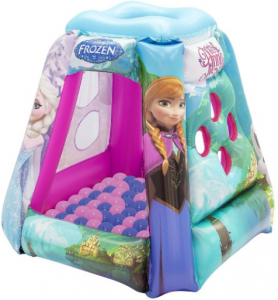 The Frozen Alping Adventure Playland with Balls is an inflatable tent that doubles as a ball pool. It features Frozen pictures including the ever-popular Anna and Elsa and has 2 large openings for children to crawl through, as well as peek-through windows. It’s perfect for 1 and 2 year olds and comes complete with 20 soft balls. The inflatable play tent and ball pool can be used indoors or outside and measures 94 x 94cm and 86.4cm high. 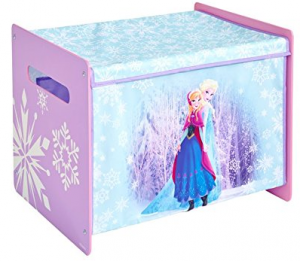 Where better to store all your child’s Frozen toys than in the Disney Frozen Toy Box? This toy box is sturdy and well made, measuring 40cm x 60cm and 40cm high. It’s ideal for 2 year olds and older who are learning how to tidy up – if your child likes Frozen then this toy box will make tidying up fun! Each panel is printed with a high quality Frozen design. It comes flat packed but is fairly easy to assemble. After your child has put away their Frozen toys in their Frozen toy box, what better way to end the day than to fall asleep in their very own Frozen bed! 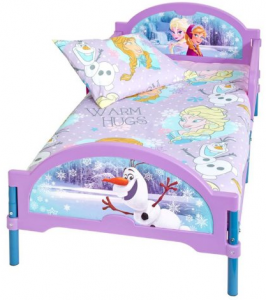 The Disney Frozen Cosytime Toddler Bed is perfect for any 2 year old who loves Frozen. 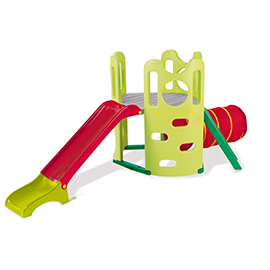 Suitable for children from 18 months, it has safety sides to stop children from falling out and is tested to the latest safety standards. There are Disney Frozen graphics printed o the head and footboard which will capture your child’s imagination – especially when combined with Frozen junior-size bedding with a matching duvet and pillow. The bed measures 147cm x 75cm x 59cm and comes complete with a toddler mattress and mattress cover. Which Toy Cash Register – Fisher-Price or Little Tikes?